NVIDIA has launched the GTX 1660, a new mid-range graphics card for desktop following the launch of its 1660 Ti. Built on the same 6th generation Turing architecture as the GTX 1660 Ti and the RTX series, the new GTX 1660 starts at $219, making it the cheapest Turing based GPU so far. 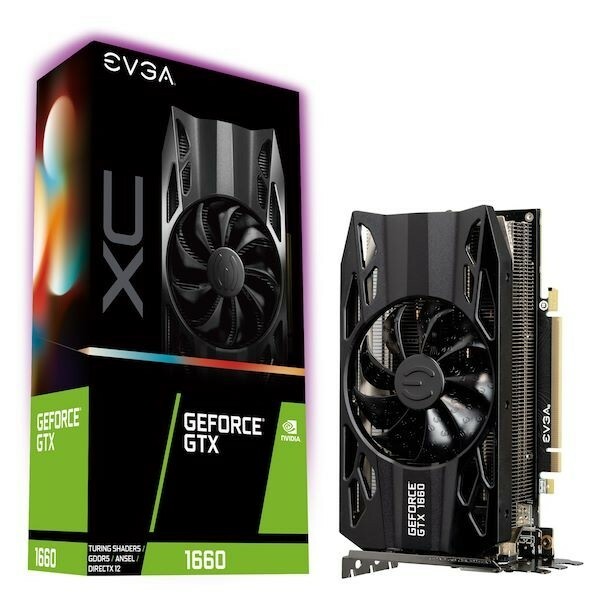 The GTX 1660 is the same TU116 GPU as on the 1660 Ti but with a few modifications. The CUDA core count has dropped from 1536 to 1408. The texture units have gone down from 96 to 88. The memory clock is now 8GHz from 12GHz and the memory bandwidth is 192GB/s instead of 288.1GB/s. The memory itself is now 6GB GDDR5 instead of 6GB GDDR6. The clock speed sees slight improvements, with base clock increased from 1500MHz on the 1660 Ti to 1530MHz and the boost clock increased from 1770MHz to 1785MHz. These are stock figures, however, so OEM cards will likely ship with higher numbers. As with the 1660 Ti, there will not be a Founders Edition card from NVIDIA. Both cards have a TDP of 120W and can be powered from a single 8-pin connector. With the GTX 1660, NVIDIA claims you will see a performance improvement of 35% over the GTX 1060 3GB at 1080p and over 130% over the GTX 960. The graphics card goes on sale today and will be available from all major OEMs, including Asus, Colorful, EVGA, Gainward, Galaxy, Gigabyte, Inno3D, MSI, Palit and Zotac. No if you arent 'gamer', integrated is enough. Still waiting for AMD to showcase theirs, I am boycotting both Intel and Nvidia after years of overpricing with little performance gain after how many years.